I've been waiting for MONTHS for the newest movie adaptation of The Great Gatsby to come out. Since pretty much the trailer was released sometime last year. I must say I was not disappointed. 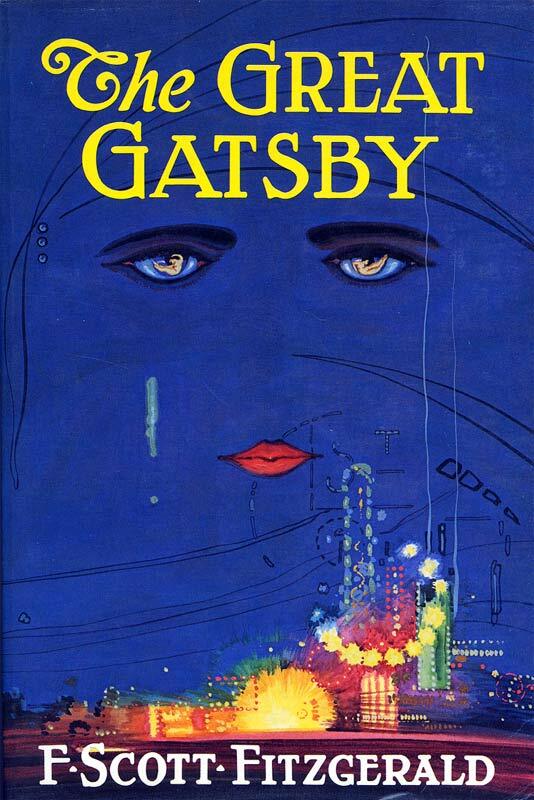 It has been a couple years since I last read The Great Gatsby so I am a little fuzzy on the details of the book. From what I remember the movie stayed close to the book but there were a few things that were added for the movie or I just forgot. I loved the flashy-ness of the movie. It was over-the-top but Baz Luhrmann did direct it. The soundtrack is...interesting. Definitely not something from the time period. But it does grab your attention and goes with the "flashy" theme. And the clothes!! I loved everything Daisy and Jordan wore in the movie! Pretty dresses with sparkles and lots of gorgeous jewlery. Sometimes I wish I could dress like that on a daily basis. 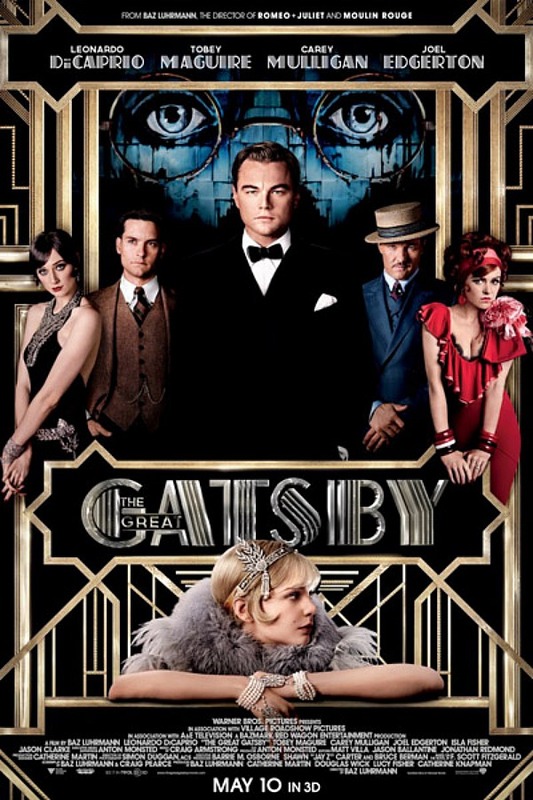 Have you seen the newest adaptation of The Great Gatsby (or any of the movie versions)? What did you think? The movie just looks so over the top and flashy that it doesn't appeal to me. Glad you enjoyed it though! I've seen the 2000 version, which I greatly enjoyed. The new one seems somewhat too flashy to me. I just watched this yesterday and loved it! A real visual feast. I re-read the book a couple of weeks ago, and you're right, the movie is very true to the book. I enjoyed this one a lot too! I know some people aren't digging it, but I thought it was great! I have literally just returned from the watching The Great Gatsby. It was very different to the book and early movie adaptions, but I actually enjoyed the vibrance that Baz Luhrmann brought to the story. Also, there is a few songs on that soundtrack that I can't get out of my head! I loved the movie. Although I'm glad I skipped the 3D. With a director like Baz Luhrmann who needs it. I just finished reading the book and I am very much looking forward in seeing the movie. I loved the movie but I adore Baz Lurhmann so I totally expected the flashiness. That's why I went! The part where they snow Leo DiCaprio for the first time and Rhapsody in Blue is playing and fireworks are going off was so very Baz. And I did see it in 3d just cause I wanted to be totally visually overwhelmed. Now they need to rerelease Moulin Rouge in 3d! The movie was very Baz Lurhman and the first half really was hard for me to get through, because of rap music, which for the trailer was okay but for the movie not at all. The 2nd half I really enjoyed though and thought it suited the book perfectly and even made me cry. I haven't actually seen this adaptation yet, but I'm yearning to! The trailer done a great job of sucking everyone in, I think from all I've hard so far that its definitely worth the hype. I'm glad you liked it!!! I've been hearing so many mixed reviews, and between those and being busy I wasn't sure if I was going to see it. Maybe I'll change my mind. I didn't love the movie. While the glitz, flash, wardrobe, and soundtrack were all a feast for the senses, I thought it was over the top and took away from the ultimate messages of the book. Saw the new film on the day it came out. Absoultely loved it! And for the first time I actually get what 3D is for. Now I just have to find the time to read the book. So I haven't seen the movie but I think I'm going to have a hard time comparing it to the 1970's version. Where I think this one will nail the excess of the time period, from reviews that I've already read, it sounds like the characters were a bit lacking. I guess judgement is reserved until I actually watch it! So many reviews have slated Gatsby for the soundtrack but I loved it. I know people like Jay-Z are very different from 1920s music but I thought it helped the audience to emote with the film. The themes and feelings that are portrayed through the music are the important bits and the modern audience (or at least I) could connect better with that than I think with 1920s classics. I've heard quite a bit of mixed reviews for this movie and haven't seen it yet because I'm not sure if I'll like it. However, it's the same director as Moulin Rouge which explains that flashiness I think. I loved Moulin Rouge so I feel like the flashy cinematics will be interesting! I thought stylistically the film was amazing, but I much preferred the book, which has much more depth and subtlety. Everything was too in-your-face in the film, and I would have preferred more quieter moments to really make you think.